Exceedent is an innovative full-service third-party administrator (TPA) that specializes in serving self-funded employers locally and nationally. Exceedent engages companies and their employees to navigate health care and to provide support in better understanding benefit offerings. Our programs enhance convenience, improve employee health and help lower costs so you make the most of your health care benefits. Exceedent takes education and engagement to another level for employees by offering programs and services that ultimately impact your bottom line. 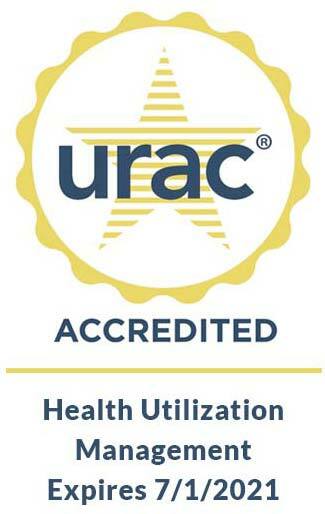 We provide support from on-site screenings and health risk assessments that empower and improve the overall quality of your workforce. Exceedent provides customized, on-site services that are staffed by board-certified and credentialed health and wellness professionals. We meet and exceed the needs of your company by establishing a relationship with each employee, understanding where they are in their wellness journey and working with them to improve their health. Sherri oversees the small-group and large-group teams as well as IT at Exceedent, working to enhance operational effectiveness and ensuring compliance. 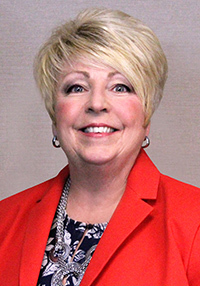 Prior to joining Exceedent in 2018, Sherri served for more than 10 years as senior vice president – chief operating officer at The Benefits Services Group (BSG) and BSG Analytics, LLC, a benefit consultant and data analytics company located in Pewaukee, Wis. She was in charge of overall operations, with a focus on health system clients and analytics. In this role, her consultation was instrumental in Exceedent's operational development. Her prior experience includes working with the leadership team at Claim Management Services, Inc., a third party administrator and wholly-owned subsidiary of Anthem, where she worked with large employer health care coalitions to find unique ways to manage employer healthcare costs. This included provider negotiations, employer analytics and claim administration. Sherri holds her insurance licenses for life, accident and health. She is a graduate of the University of Wisconsin – Stevens Point. She was previously appointed by Governor Scott McCallum to the Wisconsin Bureau of Healthcare Information and she has served on the Board of Directors of the Wisconsin Coalition on Health. With over 30 years of insurance and employee benefits industry experience in various roles, Sherri offers unique insights and perspectives in claims administration and data analytics. Prior to taking the position as Chief Financial Officer at Exceedent in 2015, Tom started his career with a small company in the financial services industry that grew from 24 to 150 employees over his 15 year tenure as Controller. As a matter of necessity, he immersed himself in all things accounting and operational to help manage both the financial and business aspects of the company. In addition to expertise pertaining to general ledger, accounts payable, financial reporting, budgeting and financial analysis, he was also able to build a strong foundation in IT, HR/Benefit administration and overall business strategy. After leaving the financial services industry, he spent 3 years with a small distribution company as Controller filling all the same roles he had in his previous job, while developing stronger skills in managing and forecasting the financial and organizational aspects of a heavily sales driven organization. In 2012 he took the position of Chief Financial Officer for a small start-up in the health care consulting industry and utilized his hands on approach and ability to see the complete picture of a business to help manage the organization. Here he acquired and in-depth knowledge of benefit related products and health plans while continuing to utilize his expertise in G/L, A/P, financial reporting, budgeting and financial analysis in relation to the health care industry. His knowledge and skills continue to evolve at Exceedent as it grows its TPA and level funded insurance product, while his strong detail orientated and hands on approach continue to allow for insightful analysis and reporting on both financial and overall business aspects. As National Vice President of Sales, Todd is responsible for leading the sales and retention strategies of Exceedent. He works directly with employers and their consultants in presenting Exceedent’s healthcare solutions to the marketplace in Wisconsin and the Midwest. 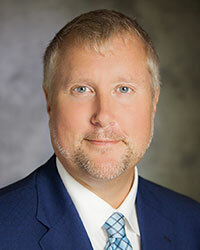 Todd has more than 25 years of healthcare experience working with Anthem and UnitedHealthcare/UMR. He has been named top producer in the nation for membership sales, and a Top 5 Account Executive in each of the companies he has worked with. 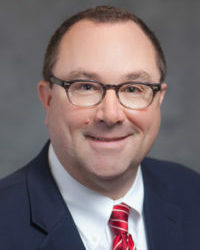 Dr. Christianson received his medical degree from the Medical College of Wisconsin and completed his family practice residency at the University of Wisconsin. He practiced family medicine in Milwaukee for 13 years before moving into roles in health care administration. 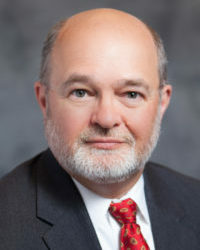 He became board-certified by the American Board of Family Medicine in 1986 and attained his Certified Physician Executive (CPE) certification from the American Association for Physician Leadership in 2002. A member of the United States Naval Reserve, Dr. Christianson was awarded a Navy Commendation Medal in 1991 for service during Operations Desert Shield/Storm. Dr. Christianson and his wife, who have three adult children, reside in the Town of Merton, Wis.
Exceedent solutions offer greater flexibility and customization over the typical TPA.